Hi. 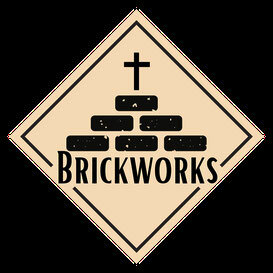 I’m Tom Fish and I’d like to welcome you to the Brickworks website. Brickworks is hard to describe. Is it a church – or is it a community organisation? You could say it’s a church that exists in and for this local community. Or you could say it’s a community organisation with a church at its core. In the community, we’ve run events ranging from Pancake Parties to Litter Picks. You can see some of them here. The Summer Event – 5 days of games and activities for young people, with a barbecue and show for everyone on the Thursday night – saw over 200 people enjoy being out on Rufford Field together. We’re involved in setting up a “Friends of Rufford Field” group, and are keen to support any other initiatives that build community in the area. As a church, we’d been meeting regularly on Sundays since September 2014; since autumn half-term (2018) we’ve had a whole new look, based on smaller groups, which we call Kilns (the places where bricks are made). At 11am there’s a church service at the Sunshine Club on Crowle Drive DY9 7NY, then at 2pm there’s Taste at 43 Bredon Avenue DY9 7NR, designed with children and families in mind. Plus there are other groups on other days. Click here to find out more. From time to time we plan to have a Celebration, where as many as possible of us get together to hear about what God’s been doing. Anyway, I hope you’ll find the information you need while you’re here on the website – do get in touch if not. But more than that, if you live in the Rufford and Stambermill area – between Lye and Stourbridge – I hope you’ll consider getting involved in Brickworks.